« Stranger / Friend ? 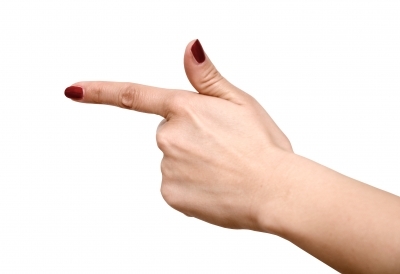 Whenever we point fingers at others most of the fingers point towards us !!! Often I find all of getting stuck in what is called the Blame game which makes us feel better to blame others for the situation that we are in today. There are certain situations which definitely are not in our control and beyond the boundaries of human expectations while there are some in which we blame others for bringing us to that point. Let us try and analyze that situation in your life. How is other responsible for the situation that you are in ? How are you responsible for the situation ? What could I have done differently, taking the responsibility of the situation , that could have made a difference ? Now look at the situation again, what is different in your thoughts ? You will find that taking responsibility frees us from getting stuck or bound to the person and gives you the freedom to take charge and do something about it. So don’t get hooked up in the blame game, be responsible and contribute. Share your experiences with me.